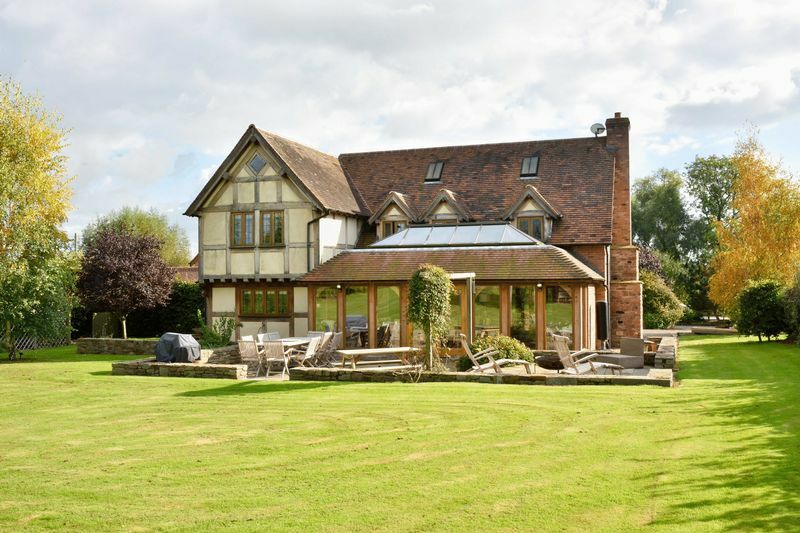 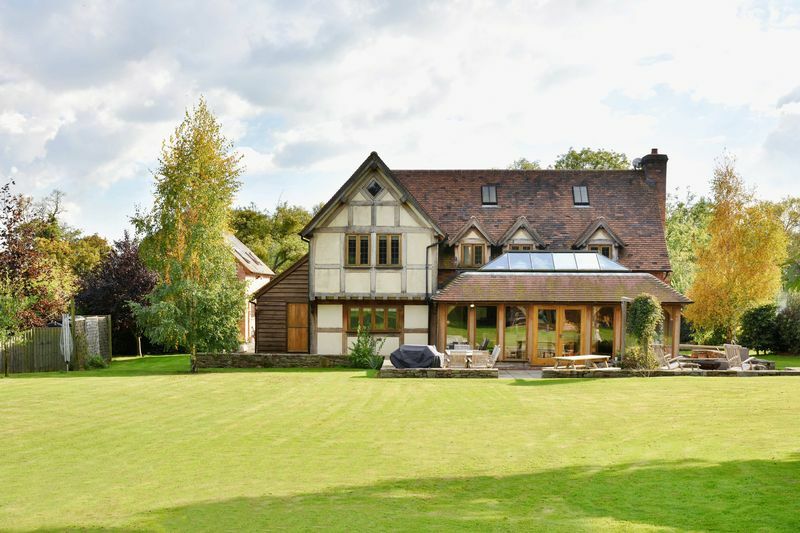 A Stunning and Luxurious Border Oak Frame Detached 5 Bed Period-Style Family Home Brimming with Potential in Both Annexe and Substantial Grounds. 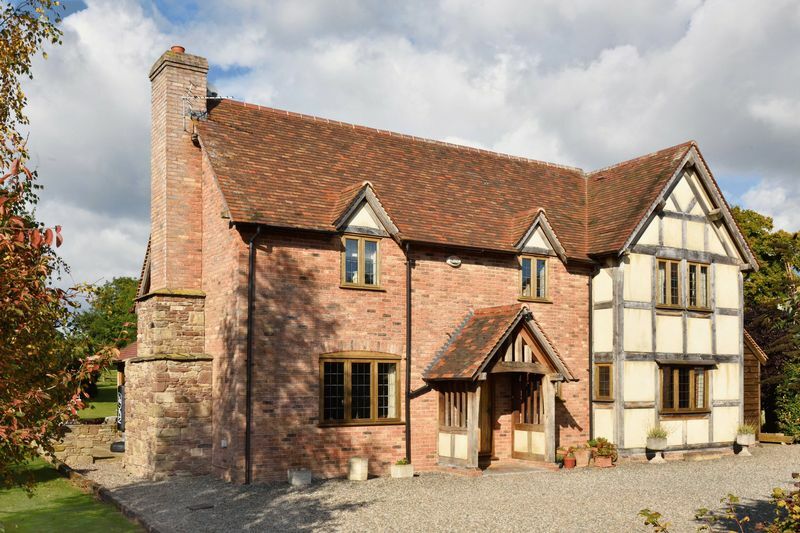 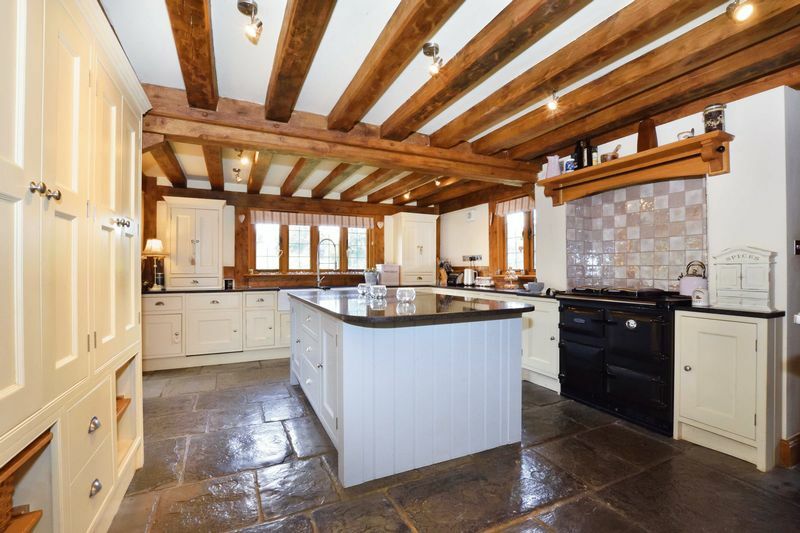 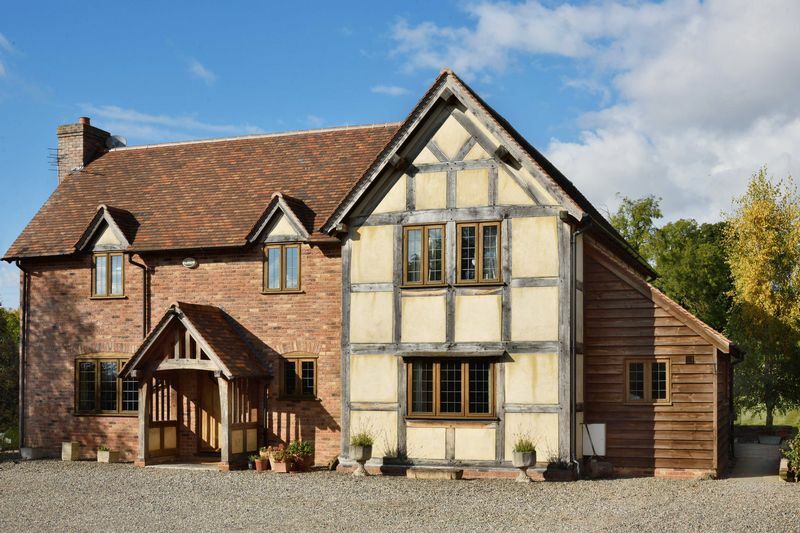 A gorgeous property, perfectly marrying the grandeur and character of a traditionally jointed and pegged Oak frame home with the malleable, open-flow living demanded by 21st Century living. 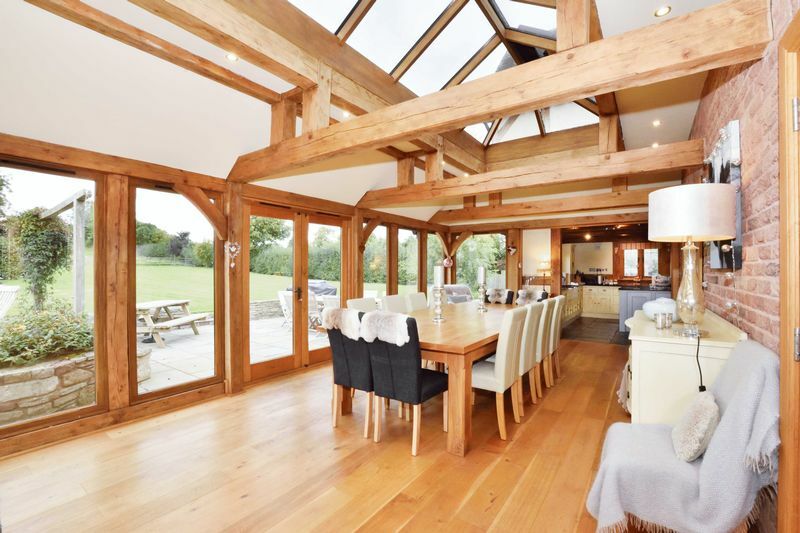 The mellowed warmth of the exposed timber beams and flooring balances beautifully with the Orangery’s expanses of glass that flood the house with light. 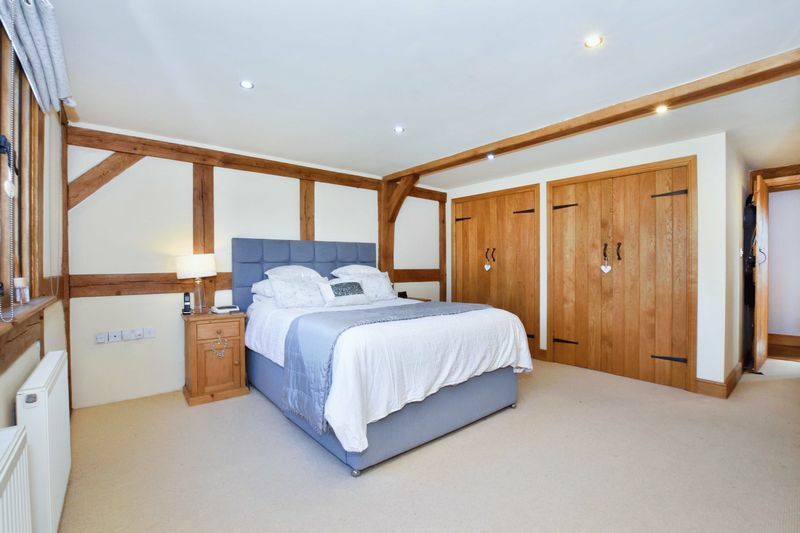 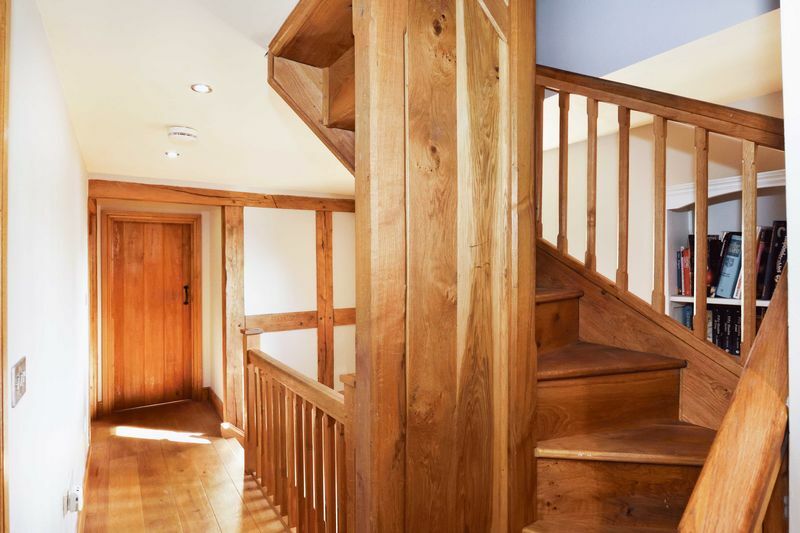 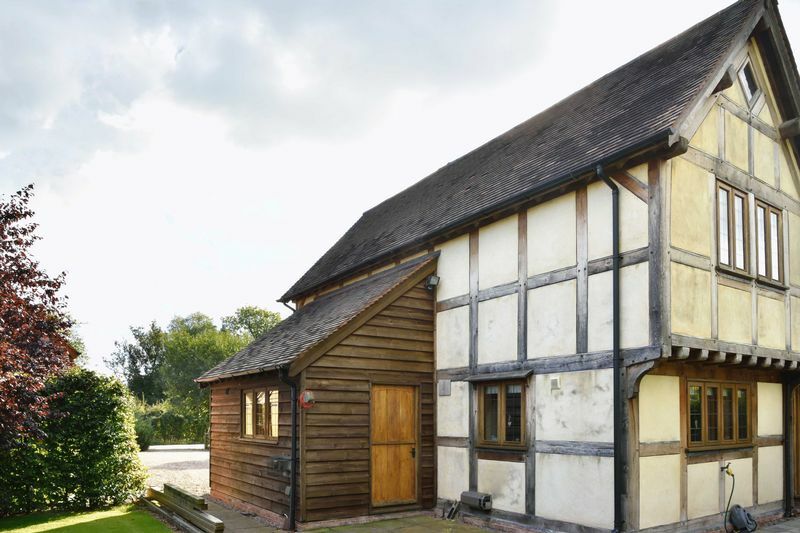 The property benefits from a high quality finish with Oak joinery throughout, including solid Oak ledge and brace doors. 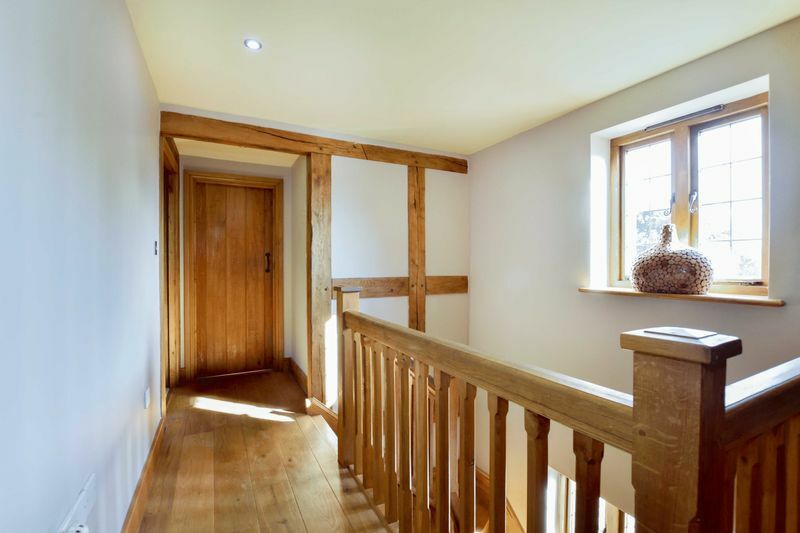 The spacious Annexe offers endless possibilities from exceptional multi-generational living to diverse home working, artist studio, holiday and rental let opportunities. 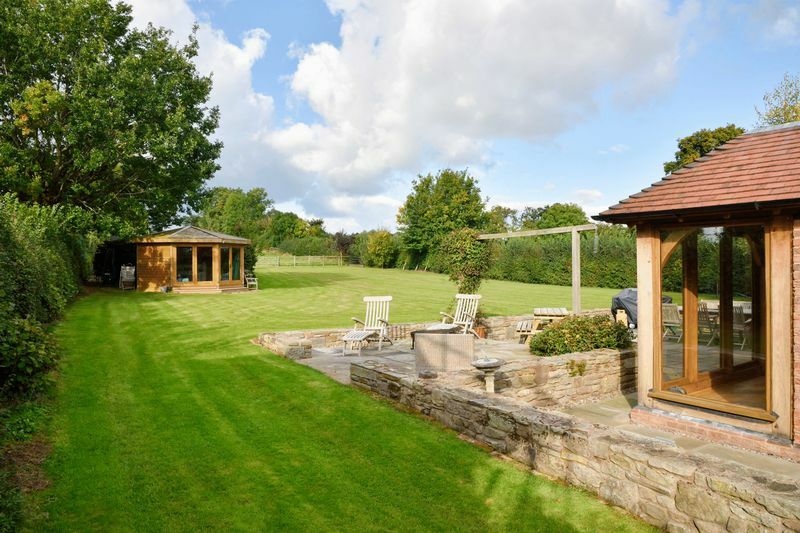 Set amid substantial gardens, the grounds extend to an acre field directly to the rear, a dream for all pony-mad youngsters. 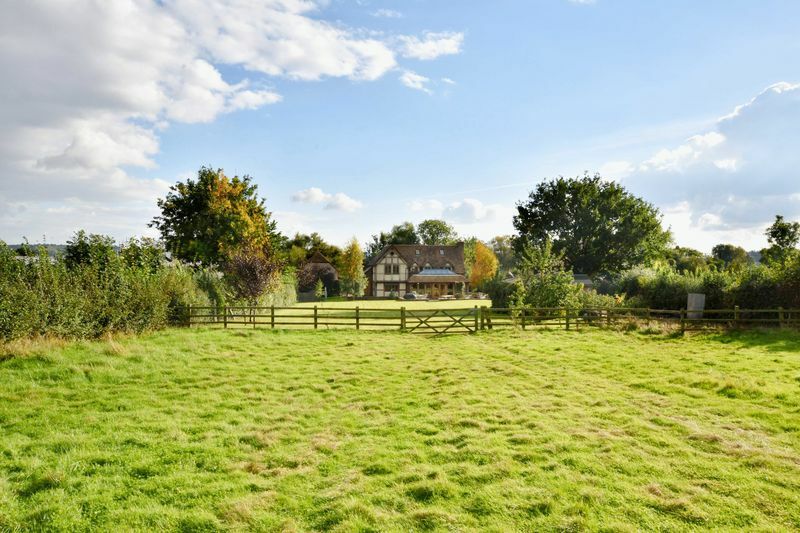 Oakdale is well located near the end of a quiet Non-Through road, enjoying a lovely rural position, while benefitting from its close proximity, a mere 6 miles to the city. 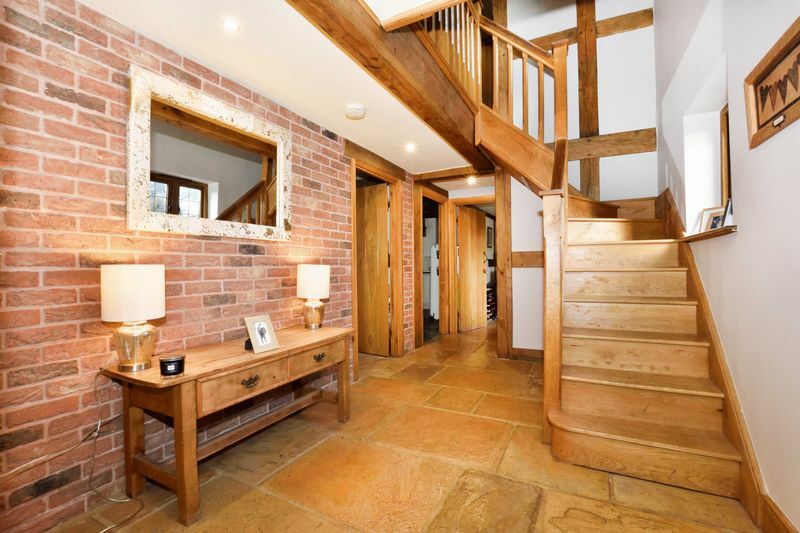 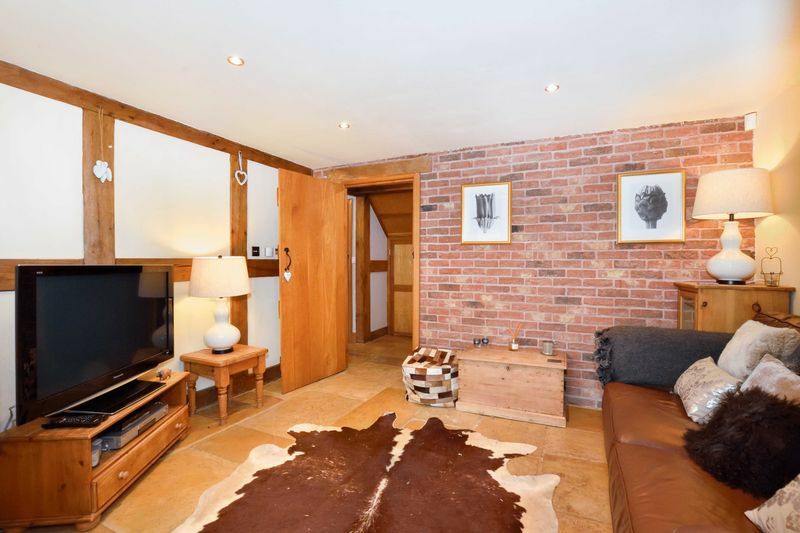 The wide timber Porch opens into the Hallway with its pale riven stone flooring and exposed brickwork. 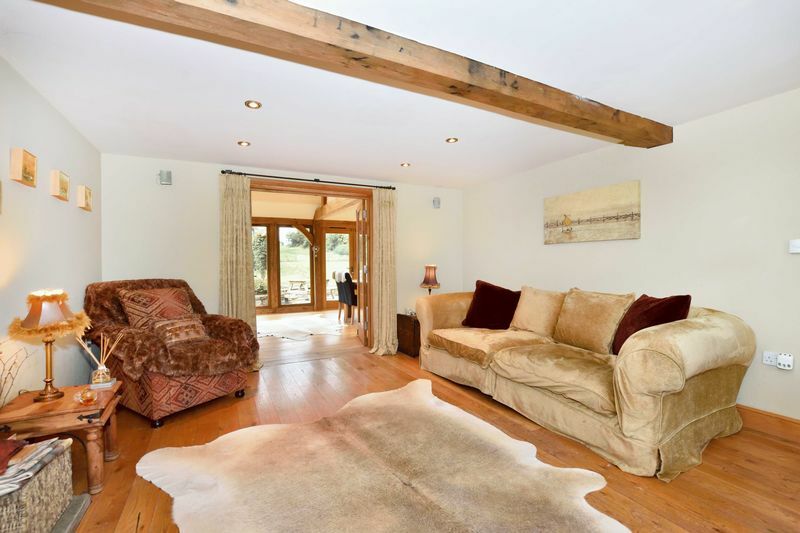 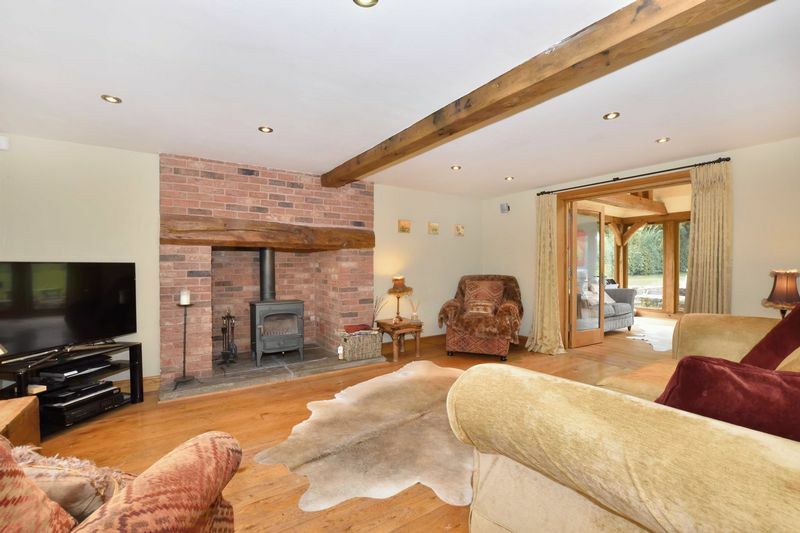 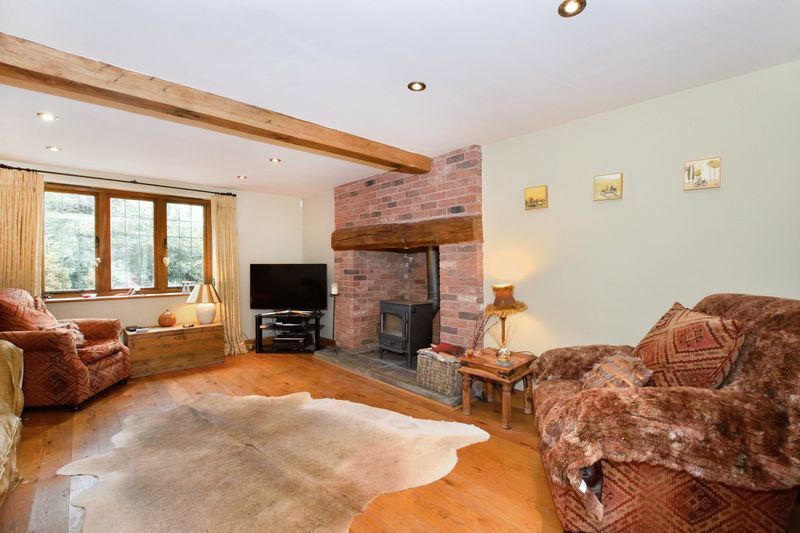 The Sitting Room features an inglenook fireplace with Clearview Woodburner and views to the front garden. 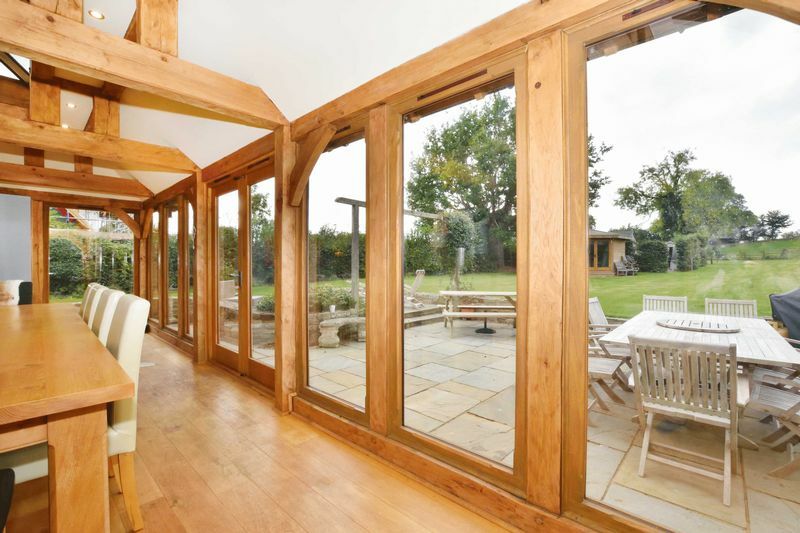 While the solid Oak flooring leads on through double glazed doors into the Orangery. 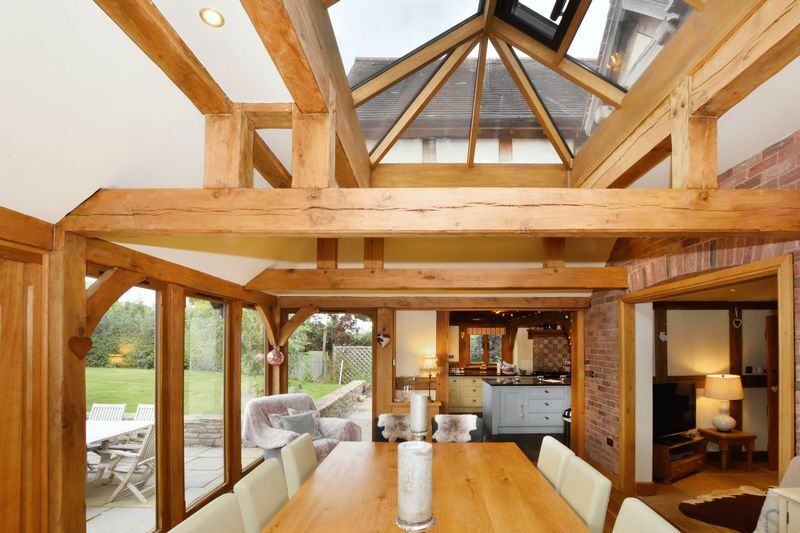 An excitingly malleable space, the Orangery offers stunning family living and entertaining hub beneath the glazed roof lantern. 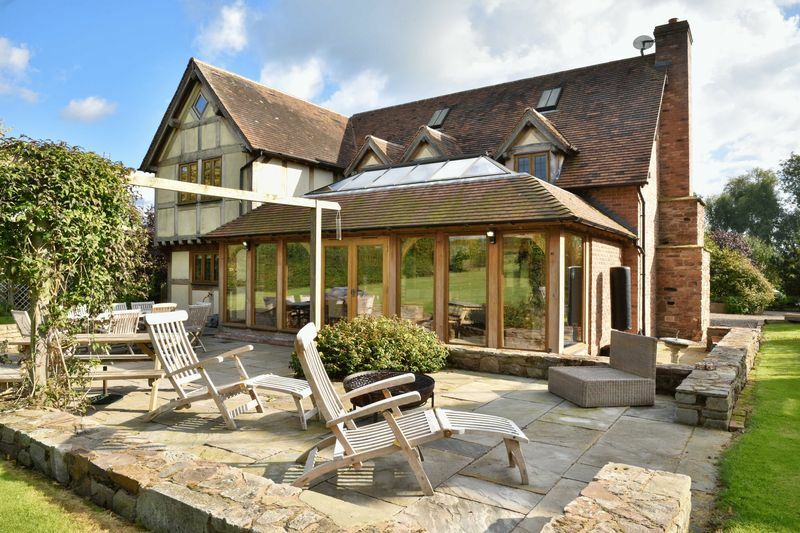 Double glazed doors open out onto the stone flag patio, ideal for outdoor dining. 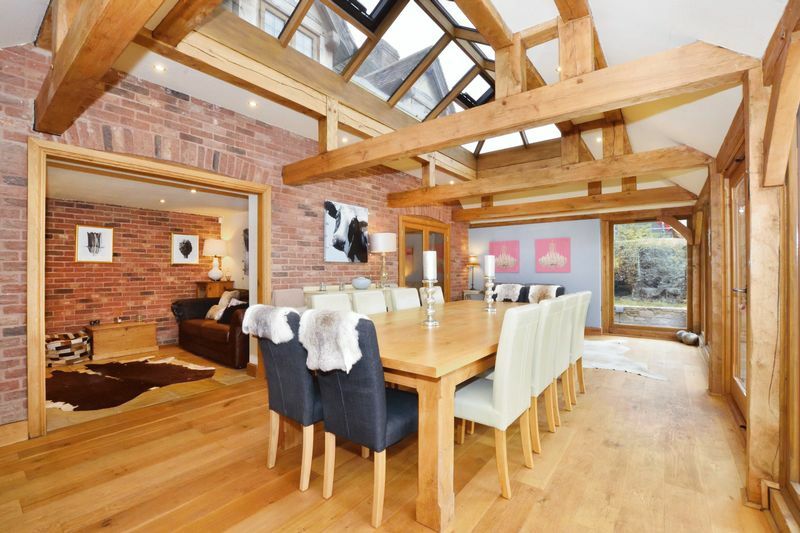 Also opening directly off the Orangery lies both the Snug, a more intimate and informal space warmed by exposed beams and brickwork and the Kitchen. 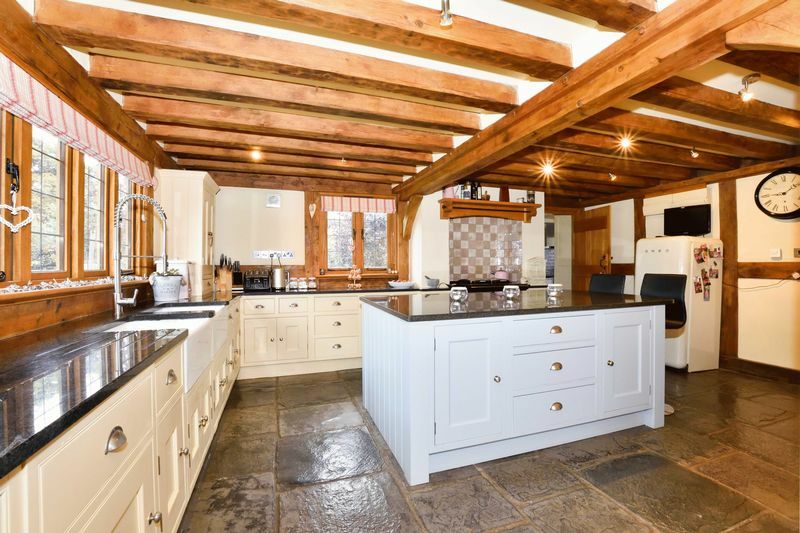 Fully-fitted in hand made Shaker units and complimented by black granite countertops to echo the riven floor tiles, the Kitchen features a large central island, while integrated are twin Belfast sinks, Bosch dishwasher and a power-flue Oil fired Rayburn. 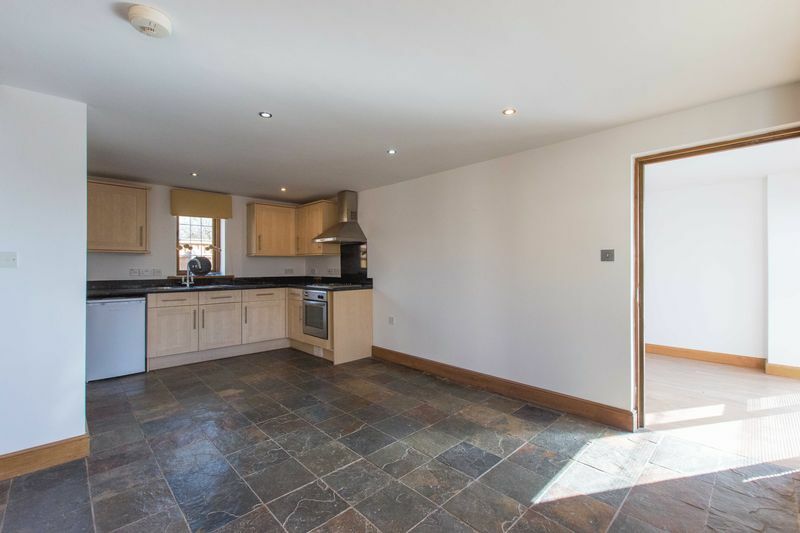 There is ample storage including a double larder cupboard and space for a large fridge/freezer. 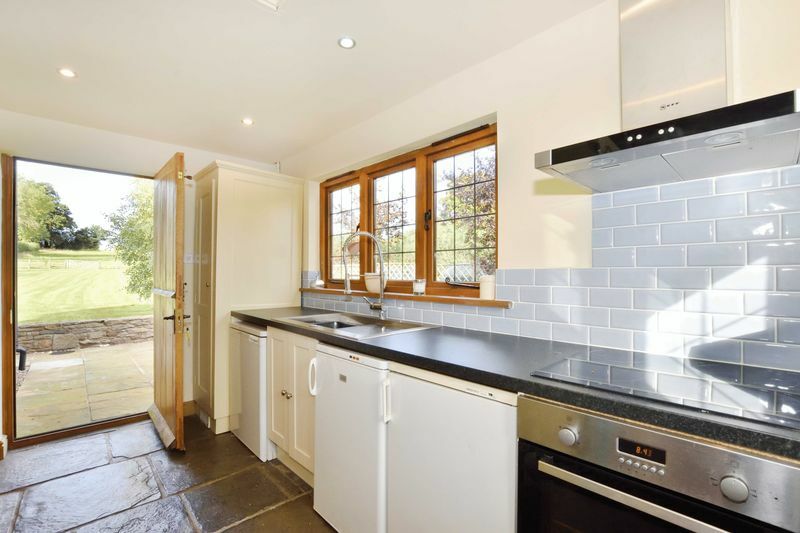 The Utility has matching units and features a Neff oven, hob with extractor, stainless steel sink with Franke tap, space for under-counter freezer, both washer and dryer and a full height press that houses the Worcester Danesmoor boiler. 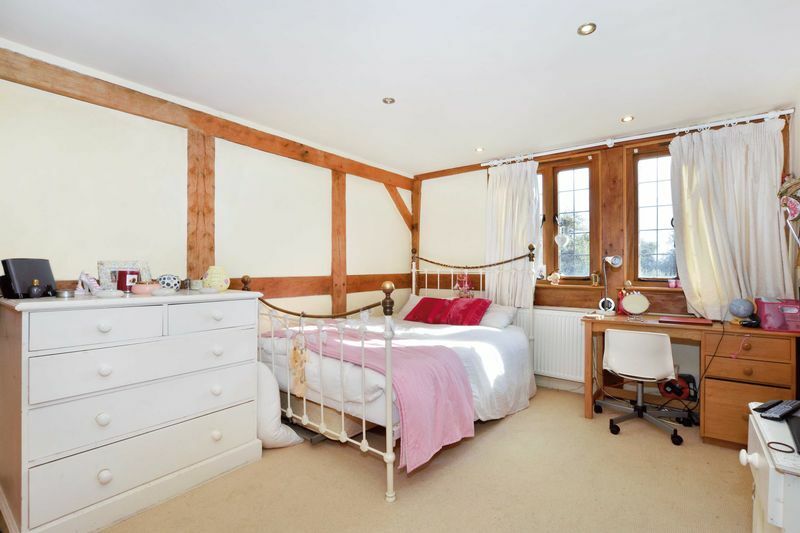 To the front of the house the Study offers a quiet away-room, while next door is the Downstairs WC. 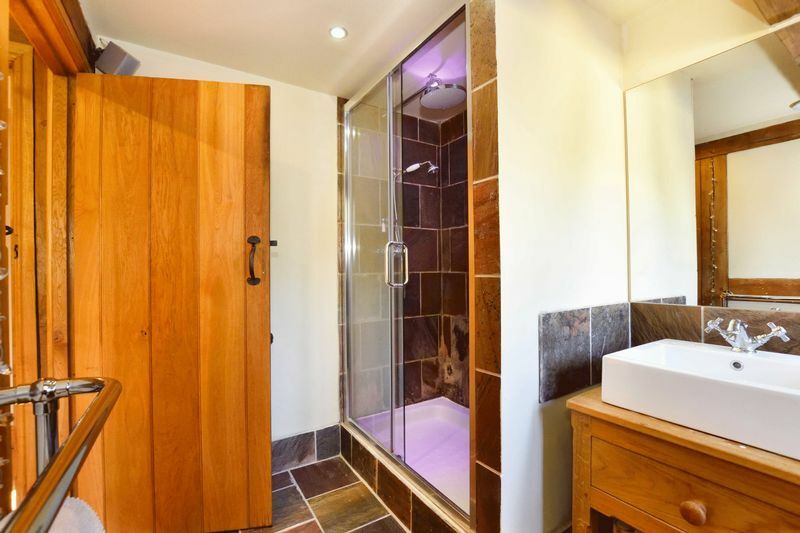 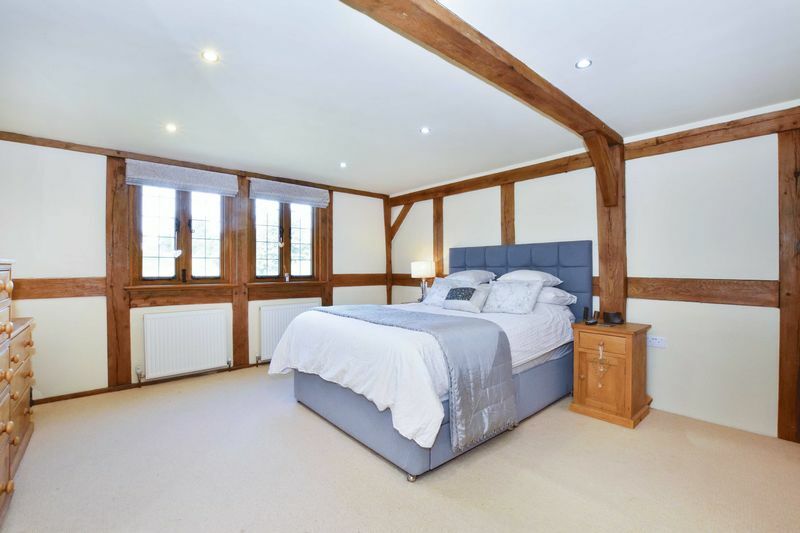 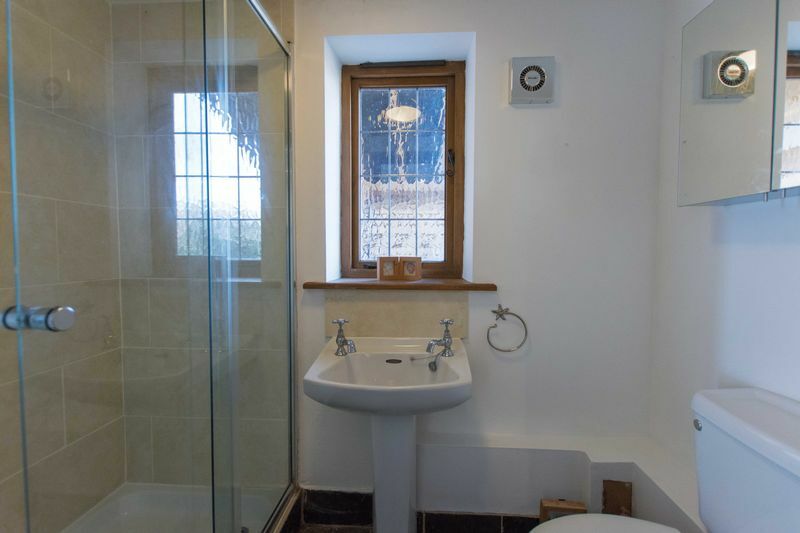 Upstairs the Master Bedroom has twin windows overlooking the rear gardens, matching built-in double wardrobes and an Ensuite, with large shower cubicle with both wall-mounted shower and rain-head, His and Her basins atop a wooden table, WC and heated towel rail. 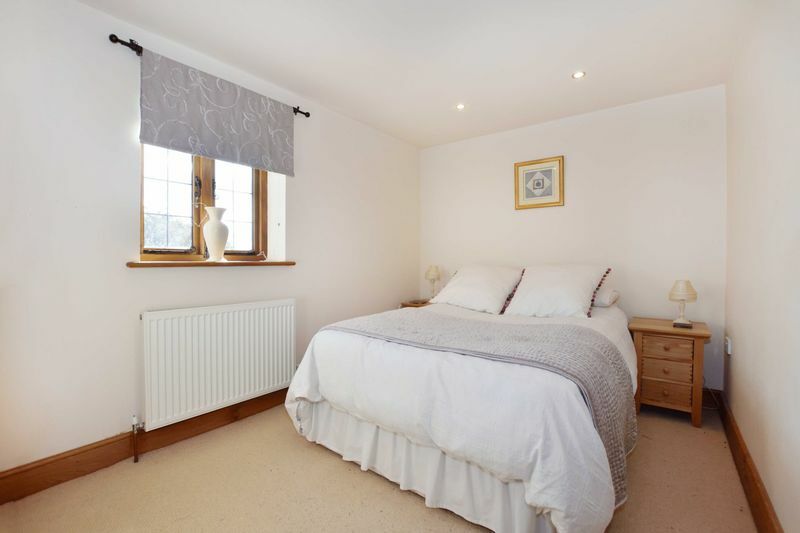 The adjacent Double Bedroom also has an Ensuite with shower, WC and basin and also features twin built-in wardrobes. 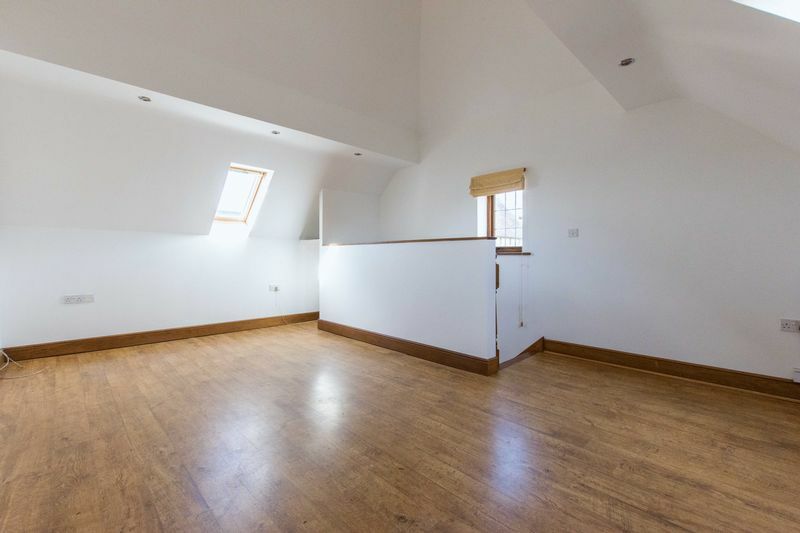 Similarly, the further 2 Double Bedrooms on this level also have built-in wardrobes. 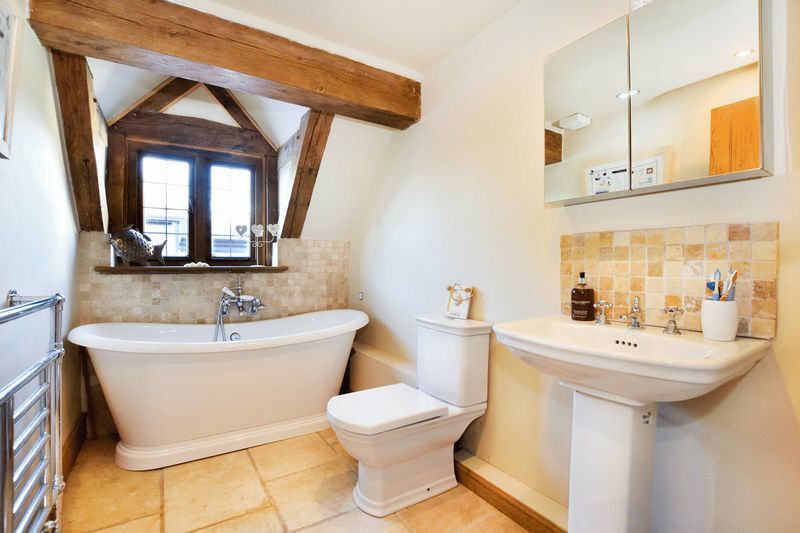 The Family Bathroom has a roll-top bath, WC, basin and heated towel rail. 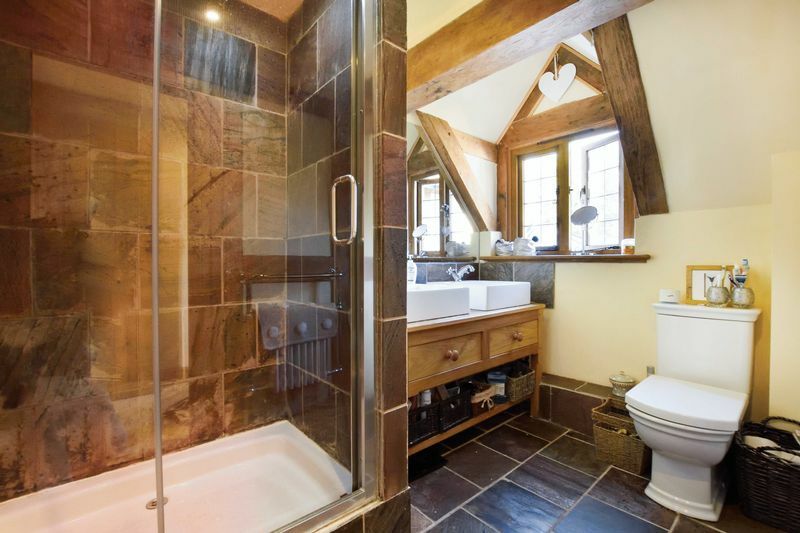 An Airing Cupboard sits to the side of the wooden staircase leading up the second floor. 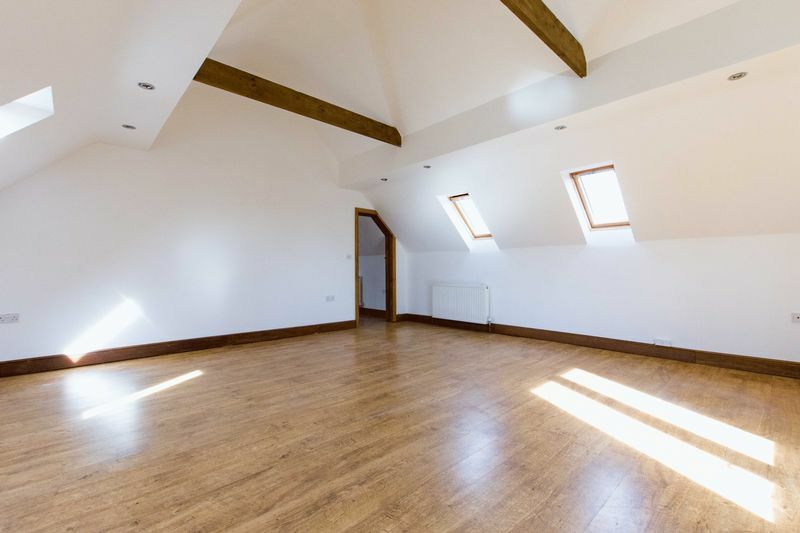 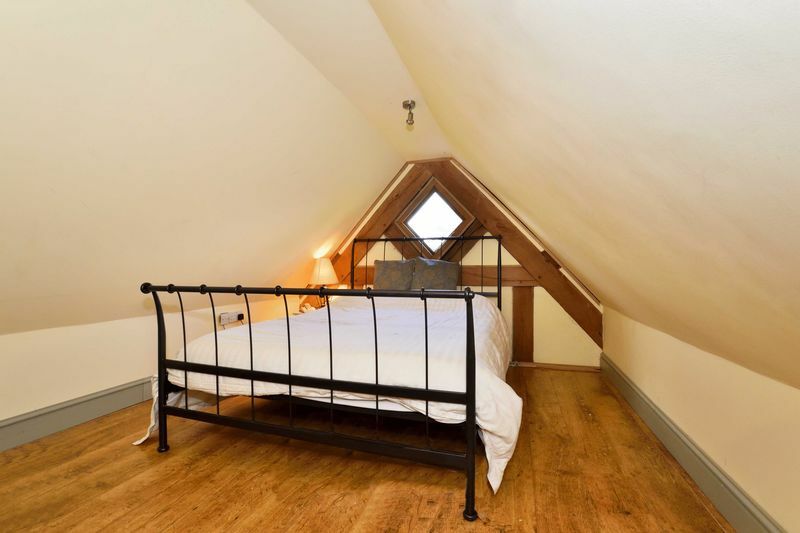 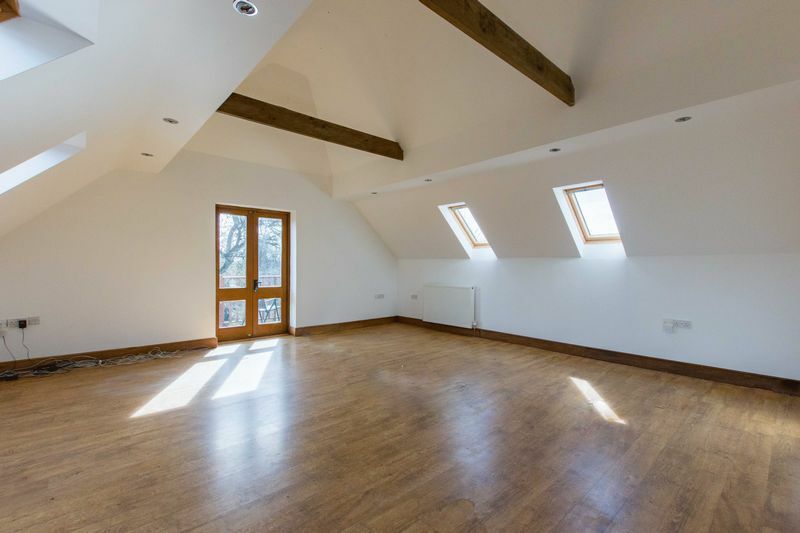 An Attic room with skylights, offers a quiet sanctum / hobby or music room, leads on to yet another room Double Bedroom, with built-in wardrobes and opposite a WC / bathroom. 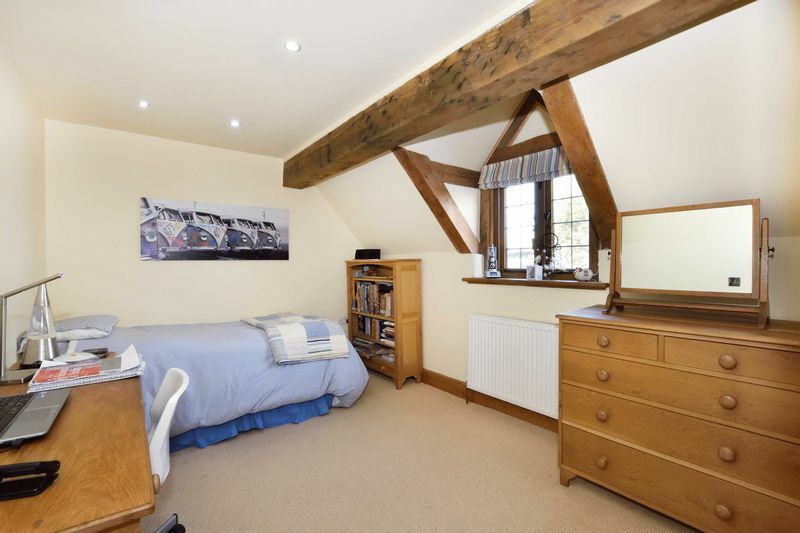 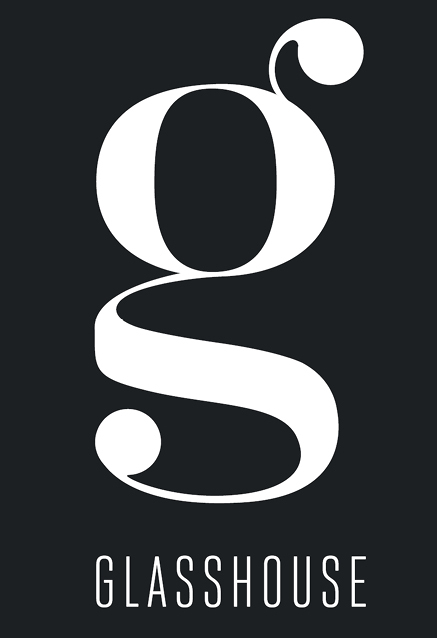 This level offers perfect guest accommodation or a teenager’s dream private domain. 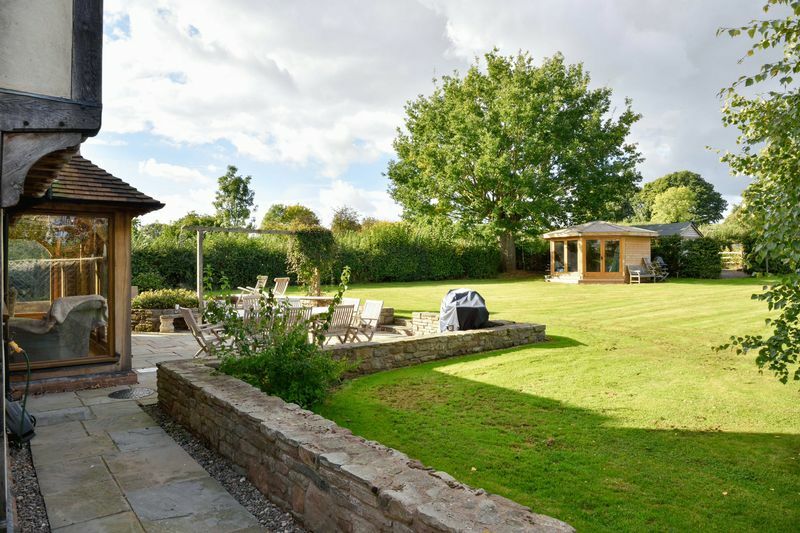 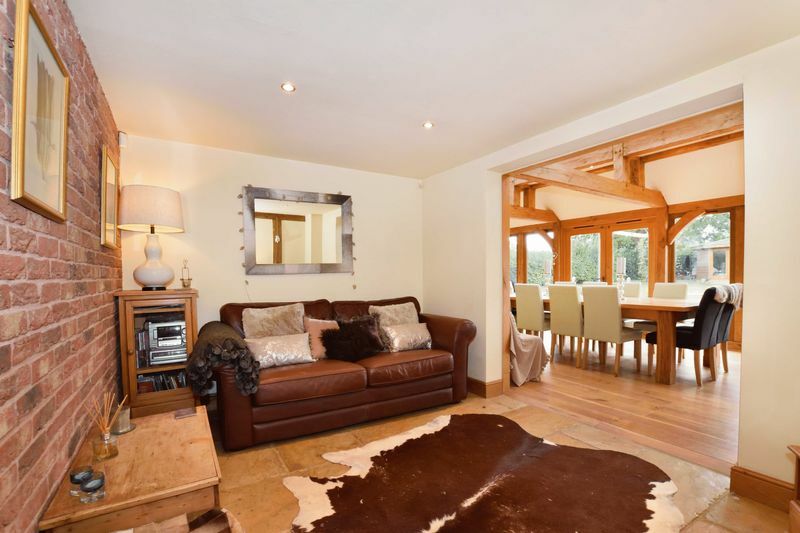 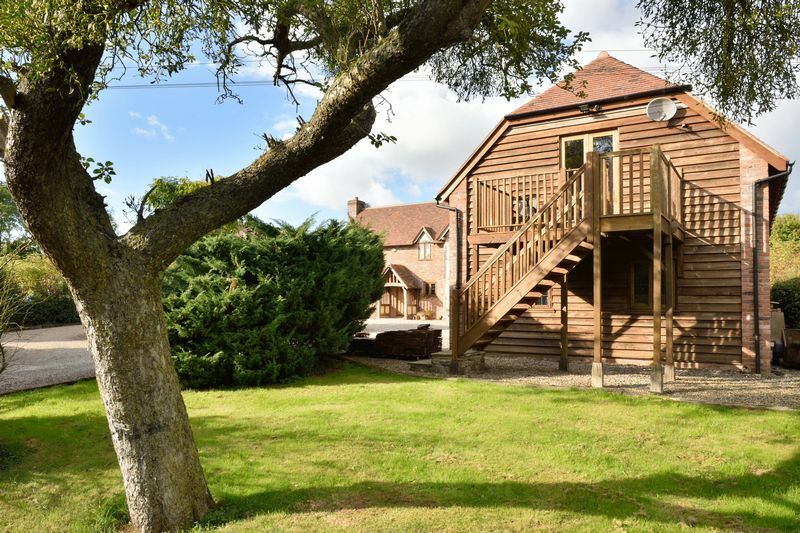 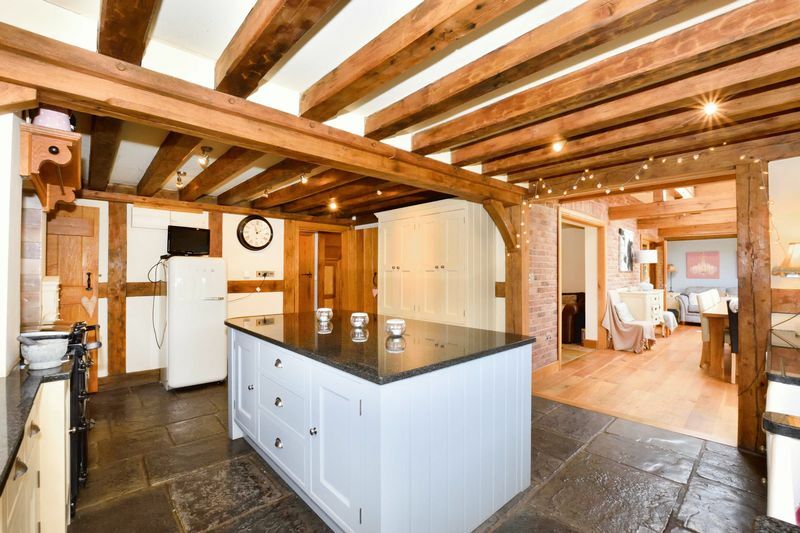 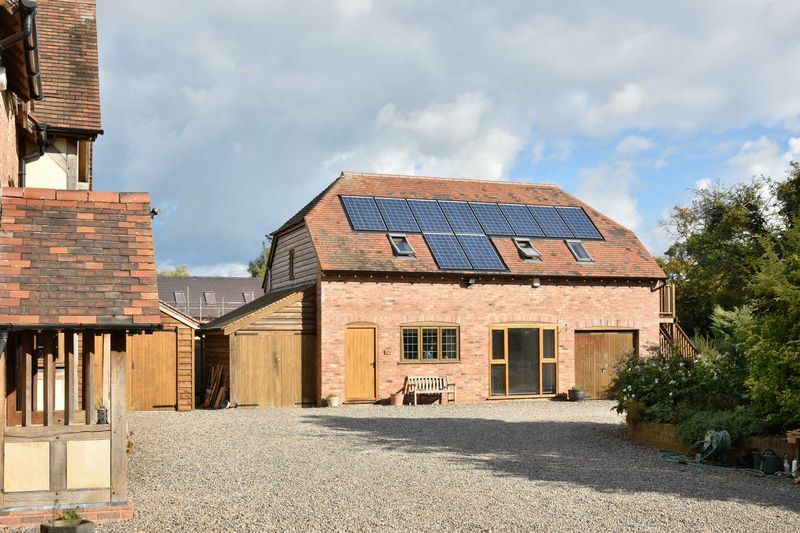 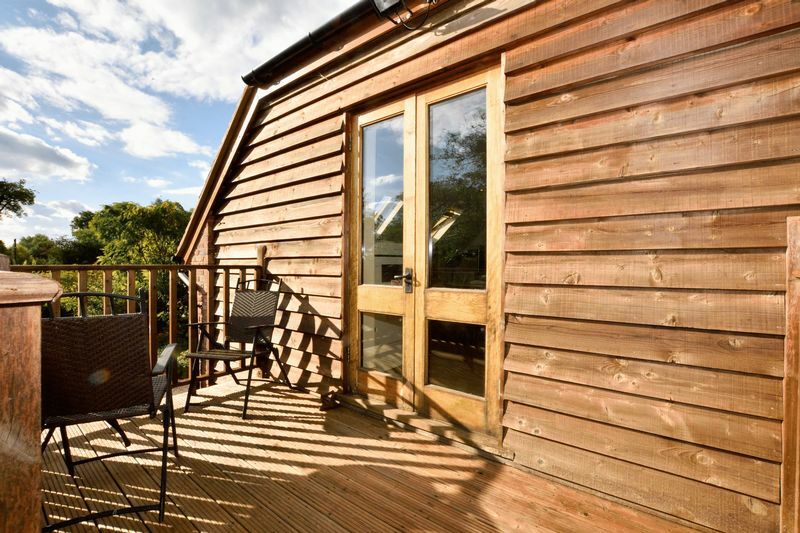 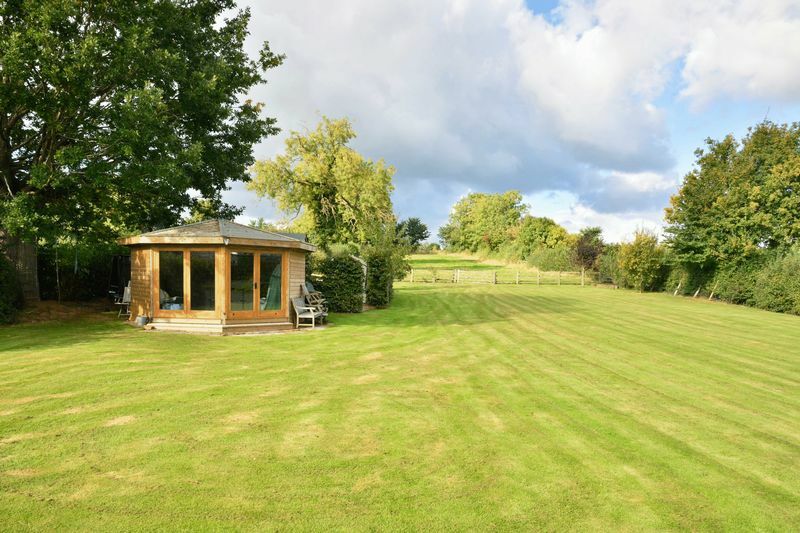 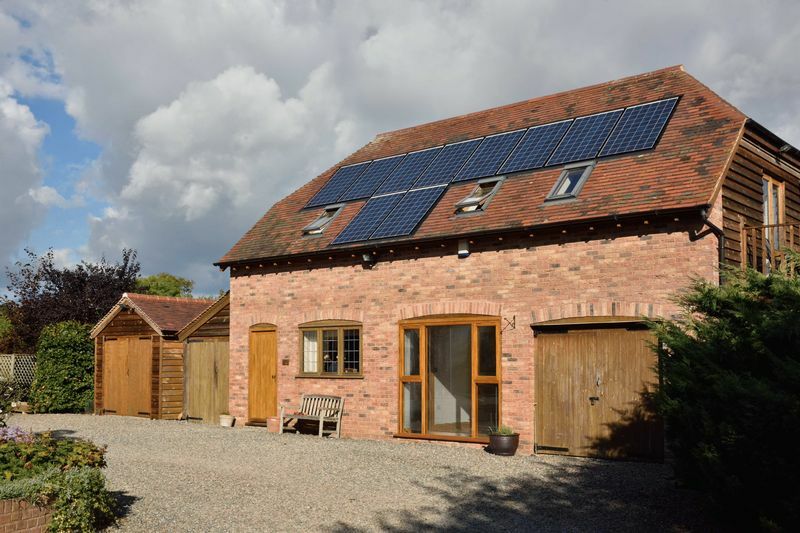 The substantial Annexe offers downstairs a large Kitchen/Diner, Bedroom with built-in wardrobes and Shower Room. 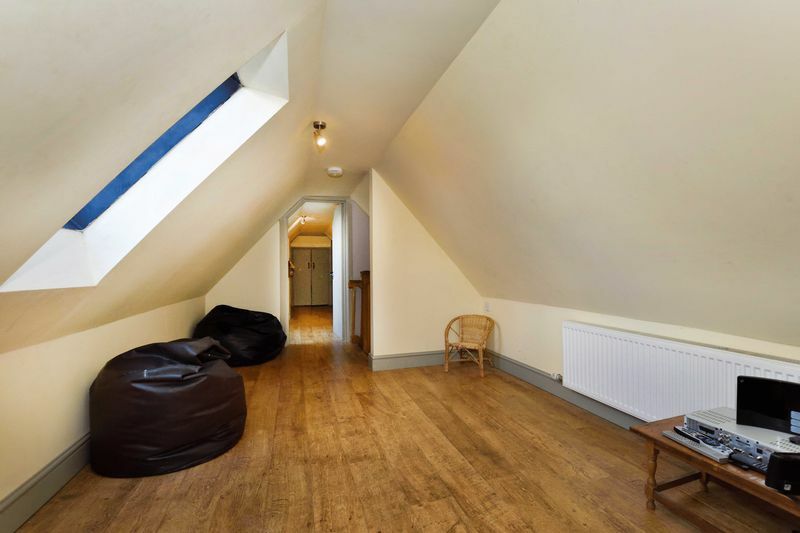 While upstairs is a second Double Bedroom / Sitting Room, with balcony to external stairs which leads to a separate garden. 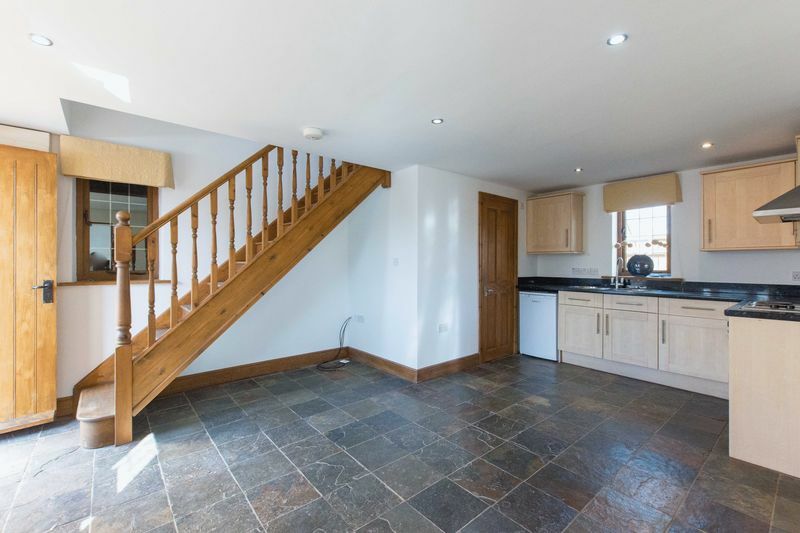 There are also both a Garage and Tool Store/wood store attached, offering yet further potential. 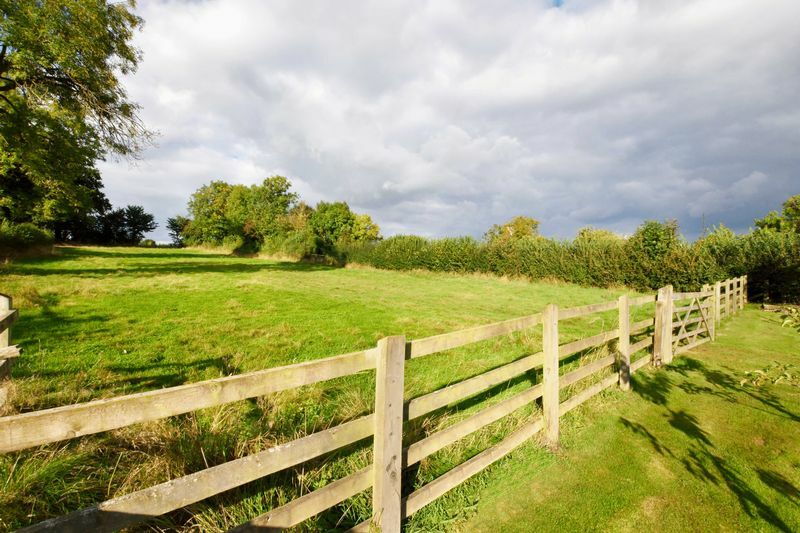 From Hereford, take the A 438 Commercial Road, at the far side of Aylestone Hill take the third exit othe roundabout the A4103 Worcester Road. 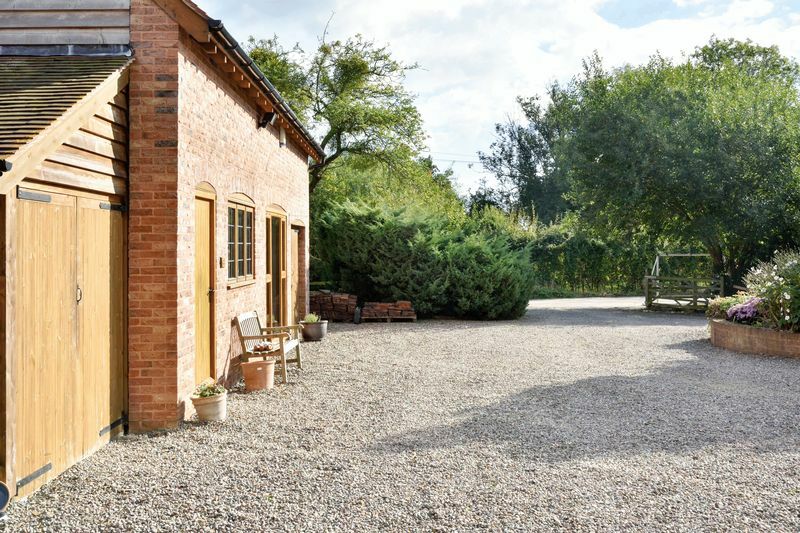 Proceed for 1 mile and turn left on the A465 to Bromyard. 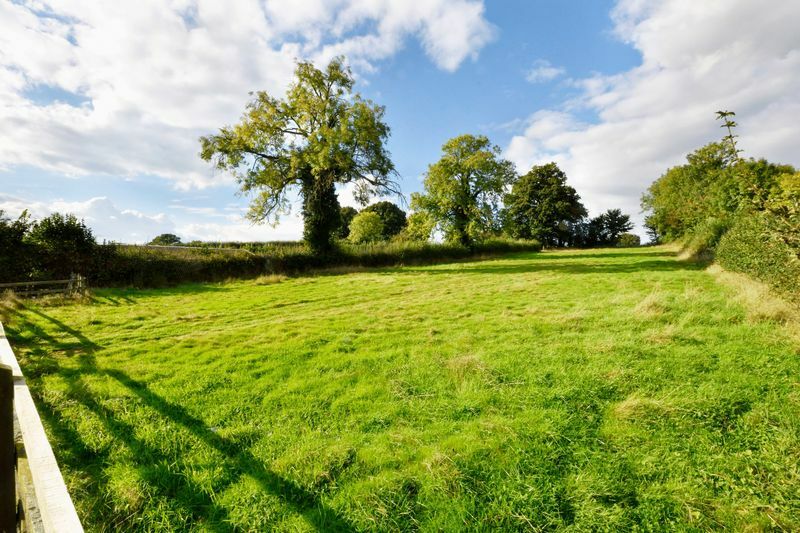 Drive 3 miles and turn left follow the road then take the 2nd right . 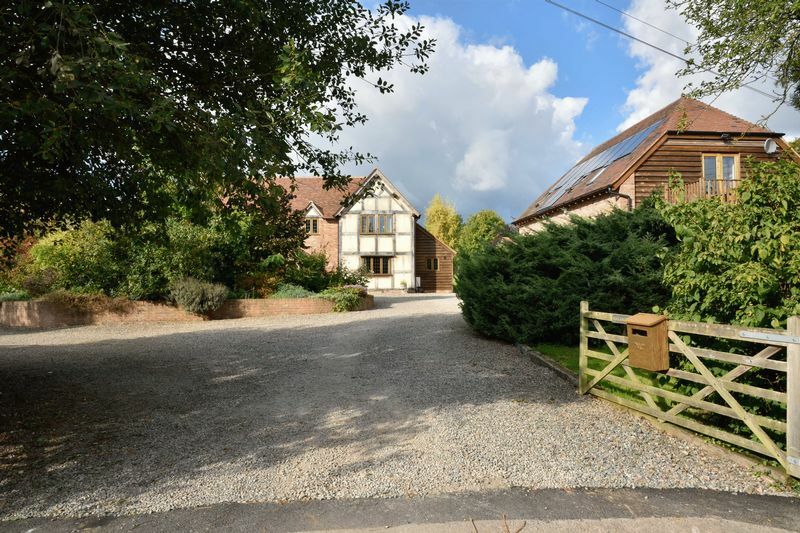 Following the Non-Through road along and the property is on the left towards the end of the road.